With all the talk of possibly reintroducing women’s tag team titles to WWE, I find it appropriate to look back at the history of women’s tag team wrestling. To further understand how the WWE (then WWF) featured them, we should look back at how the title came to be. We must go as far back as the 1950’s when Mae Young and Ella Waldek were crowned the first (NWA) World Women’s Tag Team Champions. Records are hard to come by, but it’s assumed Mae Young and Ella Waldek were the first champions. 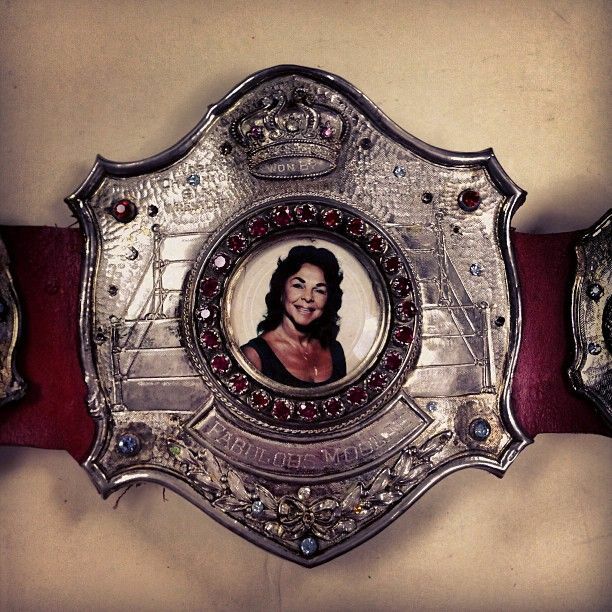 In 1952 at a live event, legendary June Byers won her first tag title with partner Millie Stafford. The latter was replaced with Mary Jane Mull who won a tournament to do so. After the title was vacated in 1954, the team of Byers & Stafford stepped up to claim it again, only this time their reign lasted well over a year. Through the rest of the 50’s, June Byers won the title two more times with different partners, making her the record 5-time World Tag Team champion. In 1961, the unknown team of Adrienne Ames (not to be confused with the actress of the same name) and Pat Lyda brought new prestige to the belts by winning the Southern Women’s Tag Team Champions. They were dubbed the “NWA titlists” and “undisputed women’s tag team champions”. And they may be the most dominant team in women’s history, as they held it almost 10 years! The Fabulous Moolah and student Toni Storm put an end to their incredible reign in 1970, and would win them again later the same year. In 1973, more big names were added to its history, as Joyce Grable won her first title with Vicki Williams. Joyce went on to win the titles two more times with different partners, the last being Wendi Richter. After losing them in 1982, the team of Grable & Richter took only 7 days to reclaim them. The last long reign of the title’s history belonged to them; a confirmed 372 days. At a House show in Cairo, Egypt, a win by Leilani Kai & Judy Martin started one of the longest reigns in WWE history; a staggering 906 days. They were untouchable, but were not seen on television often. It wasn’t til 1987 that Jimmy Hart approached them and suggested they change their look and use the name “The Glamour Girls”. He also offered to be their manager, which was massive for them as Jimmy was a mainstream manager who could show the world the team should be taken seriously. They spent much of 1987 feuding with the Jumping Bomb Angels (Noriyo Tateno and Itzuki Yamazaki) before losing the titles at the first Royal Rumble (the only time the title changed hands on a WWF PPV) in two-out-of-three falls in early 1988. Later that year, The Glamour Girls won the titles back at a house show in Japan. But sadly the titles were not high on WWF’s priority. Even the singles title didn’t see much action as shows were dominated by larger-than-life male superstars like Hulk Hogan and The Ultimate Warrior. In early 1989 the titles were abandoned indefinitely. The reason for this is shrouded in controversy, but the following incident is considered the only explanation. Seemingly threatened by the growing exposure the tag team division was getting, along with losing a portion of the girls booking fees, The Fabulous Moolah came up with a plan to sabotage all the girls involved. While over in Japan, Moolah told them the booking had changed and The Glamour Girls were to win the titles in the last match of the tour. Having not heard from head booker Pat Patterson or anyone else in the company, the girls tried to contact Pat but were unable to, so they decided to trust Moolah and agreed to the title change. When they returned to the US, Patterson was furious with the change, stating they’d ruined the plans the company had for them. They were scheduled to have a title match at Wrestlemania V, which would easily have been their biggest payday ever, but due to the title change the plan was axed. They tried to explain what happened with Moolah, but no one was willing to listen. 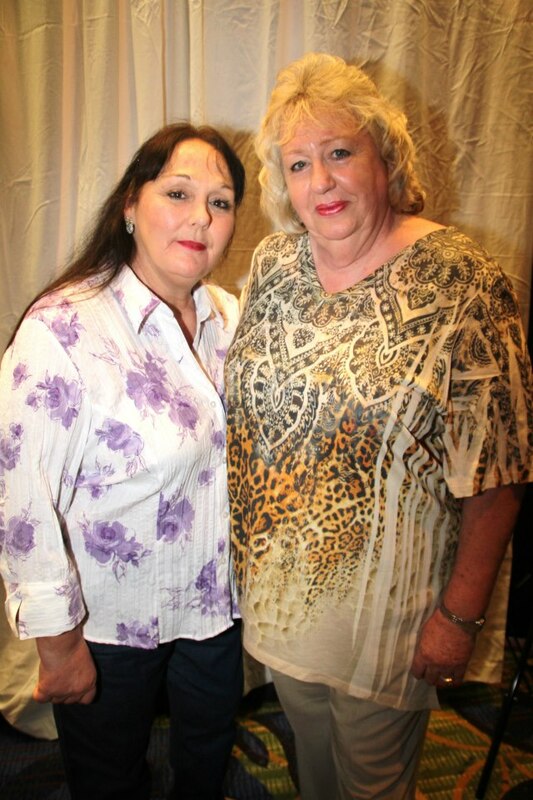 Due to the way they were treated, they left WWF in the early 90’s and joined the short-lived female exclusive promotions Ladies Major League Wrestling & Ladies Professional Wrestling Association; where they won more tag team titles. It wasn’t enough considering where they were, but at least they continued making money doing what they loved. Talk of bringing women’s/divas tag teams titles back to WWE is a subject sporadically mentioned by the company and its talent since 2012. With the announcement of the Evolution female-only PPV, the talk of tag team titles gained more steam. Should WWE bring the titles back? There’s good reasons they should, but I’m going to focus on the reasons they should not. Why? Because there’s too many reasons not to reintroduce the titles at this time. 1) The main reason is WWE does not have a women’s tag team division. Why have titles for something which doesn’t exist? I think if the company was serious about selling women’s tag teams, they’d have built a few up throughout the year leading in to the announcement of the Evolution PPV. If they were to introduce titles, Raw is probably the only place for them as we’ve seen Sasha Banks/Bayley vs. The Riott Squad for a while. But that’s it! Granted, Smackdown Live has Absolution and The IIconics .. but both are heels. If they want to make teams strong enough to be believable, they need to start building them now .. or just don’t bother. Why introduce something for the sake of it? 2) They already have too many titles. The brand split and titles which came along with it makes this more difficult. Raw doesn’t have time for the cruiserweights (like they promised for months), so what makes anyone think they have time for new tag titles? And Smackdown Live is only 2-hours and makes good use of its titles, so to add another to the mix would only dilute what they have. Can’t be done in NXT either, as they’ve got their hands full with four championships for a 1-hour show. The fact is .. there’s too many titles and not enough time to showcase another. The only way it could work is if women got their own 1-hour show every week like 205 Live. Didn’t they talk about Cruiserweight tag team titles also? Notice how that didn’t happen either? And the fact is .. they could make those work on 205 Live .. and they still decided against it. 3) History. The issue with reintroducing the titles is you bring light to the past, and The Fabulous Moolah story of screwing The Glamour Girls and the Jumping Bomb Angels is not pretty. With WWE trying to push Moolah as the legend of the women’s division despite the controversy behind her treatment of her students, it’d have a similar effect to what happened with the renaming of “The Fabulous Moolah Battle Royal”. They can’t really look back and glorify the original tag team titles as they were considered a flop to what preceded it in the NWA. The original titles showed the huge gap in equality, and history repeating itself would show WWE not doing right by the women yet again. But is it possible to introduce them in a way which the WWE Universe would accept? What if WWE finally gave The Glamour Girls (w/ Jimmy Hart) their Wrestlemania payoff by having them introduce the new tag team titles at Evolution? What if they built tag teams and gave them names (not Hug n’ Boss connection .. serious names)? What if they didn’t make the titles brand exclusive? So any tag team from Raw or Smackdown could challenge for them on PPV? It might be asking a lot, but I firmly believe if WWE wants to re-introduce women’s tag team wrestling, they have to at least try to cover up the scar tissue. They have to at least try to make women’s tag team wrestling as appealing as mens. I haven’t seen good women’s tag team wrestling since TNA had the Knockouts Tag Team titles (I don’t watch Stardom, SHIMMER etc) .. and look what happened to that. It started off really well (the first champions being the amazing Taylor Wilde & Sarita combo) with a tournament to crown the first .. but it was all downhill from there. It got to the point they were so unimportant, that TNA decided to give ’em to ODB and Eric Young (a man). They held the title almost a year .. never defending them, hell, not even bringing them to the show. After so many months Brooke Hogan called them out and said “where’s the titles?”, and EY could only say something like “stuck in a closet at home”. She stripped them and the Knockouts Tag Team titles were deactivated forever in disgrace. And no one cared .. honestly, it was a relief to see them gone. So while I’d LOVE to see women’s tag team wrestling taken seriously in WWE, I remain one of the biggest sceptics. Don’t introduce ’em for the sake of it .. have a plan, and then keep making plans so they stay relevant. If the company isn’t willing to make them at least x10 better than the original titles, then I say they’d be wasting everyones time. The men’s titles already take up too much airtime, so in that respect .. can women ever be on an even playing field? Unless WWE decides to deactivate a men’s title or two (or give women their own show), I very highly doubt they’ll ever be able to make women’s tag team wrestling special. And that’s all from me, and sorry for being so brutally blunt .. but it’s just the way I feel. Have a nice day! And thanks for reading. Charlotte vs. Asuka Is The Most Important Match In Women’s Wrestling History.